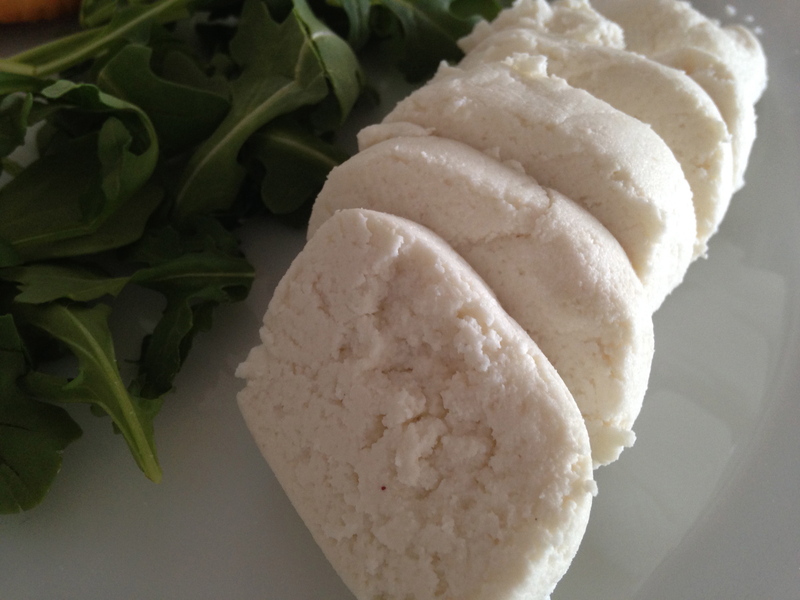 Okay, maybe you are not thinking that but it is what I was thinking before I made this delightfully easy and incredibly delicious vegan macadamia nut cheese. For those of you who have been reading this blog for a while you know that I am a self taught cook. So that means, if I can make it, so can you. True, my confidence in the kitchen has increased over the years, and so has my equipment, but with a little practice and an open mind, I have learned that vegan cooking is just like anything else. Remember, there was a time where you didn’t know how __ _____ (fill in the blank: to sail, to do yoga poses, to be in a healthy relationship…). So, there is hope. If you are willing to put a little time and effort into it, you can completely change your cooking style. I am proof. And remember, if you want some advice and assistance, I am here for you. I am almost done with my course at Rouxbe which will make me a certified plant-based professional! That means I can consult and teach plant-based cooking! Contact me at l i s a s p r o j e c t v e g a n @ g m a i l . c o m.
To the recipe! The key is the probiotic powder. It gives this cheese that cheese-y zing. FYI, I used my Vitamix. A blender or food processor will do it, but the texture probably won’t be as smooth. Soak the macadamia nuts overnight. Drain the nuts and add to the Vitamix. Add the probiotic powder and a small amount of filtered water. You may need to add more water, depending on what machine you are using. It doesn’t matter because the cheese will be strained and pressed after. Add the probiotic and blend. Use the Vitamix tamper to press down the mixture, if using. Either way, stop blending every once in a while to scrape the sides. Blend until the consistency is as smooth as possible. Place the strainer in the big bowl. Place the mixture into a nut milk bag. I like these More Than a Nut Milk Bags. Pull the drawstring and twist the bag. Press out the water. Place onto the strainer and then place a small plate on top of the bag. Place the heavy can on top and then cover the whole thing with a kitchen towel. Let sit on the counter for about 12 hours to press! 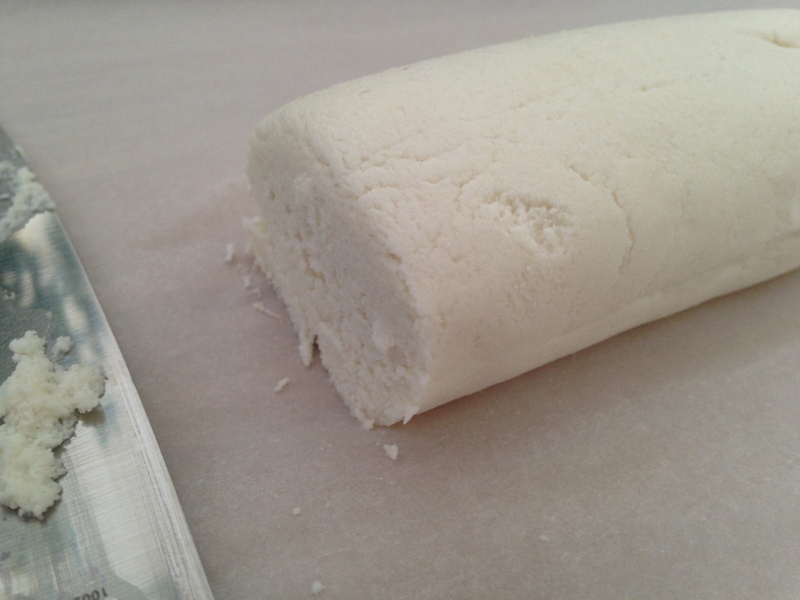 Turn the cheese out onto a piece of parchment paper and form a log with your hands. Pull one side of the parchment over to the other and roll like you were playing with play dough. Once the log is together, you have cheese! From here, you can roll in freshly chopped herbs or nuts. I like it plain. You can also take a step back and mix the herbs or even nutritional yeast or onion powder into the cheese before rolling. Serve on a platter with crackers, with a nice salad of arugula, alongside roasted beets or any way you want. Enjoy! Graduation from Rouxbe.com: I am a Certified Plant-Based Professional! How cool! It looks so good, and not too complicated to make. I can really relate to your story, I wouldn’t even attempt this a few years back. Confidence and practice have really transformed me in the kitchen! This looks amazing and really not complicated to make! I can really relate to your story, a few years back I would have never attempted this. I agree, confidence and practice have transformed me in the kitchen! Great idea for vegans and it sounds great! Yes! I have macadamia nuts that I need to use too! isn’t it funny? i now know that all it takes is a little practice and willingness to accomplish change. i always say, if i can do it, anyone can! Thanks for the inspiration Lisa! !